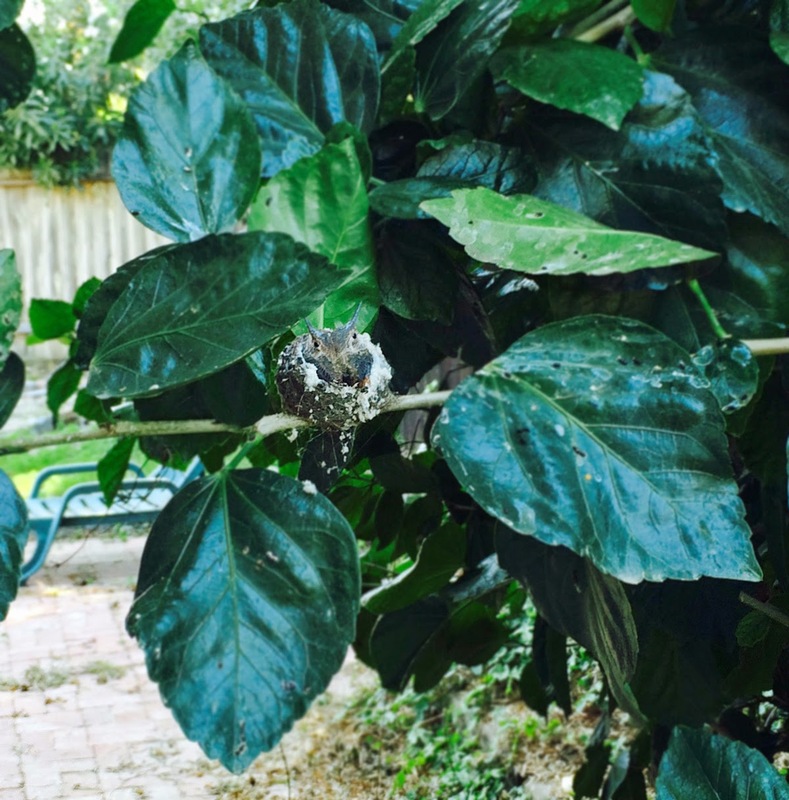 I checked the baby hummingbirds today, standing well back from the nest to get these pics, which explains the less than stellar quality. But look how big they are! And their beaks are so long! 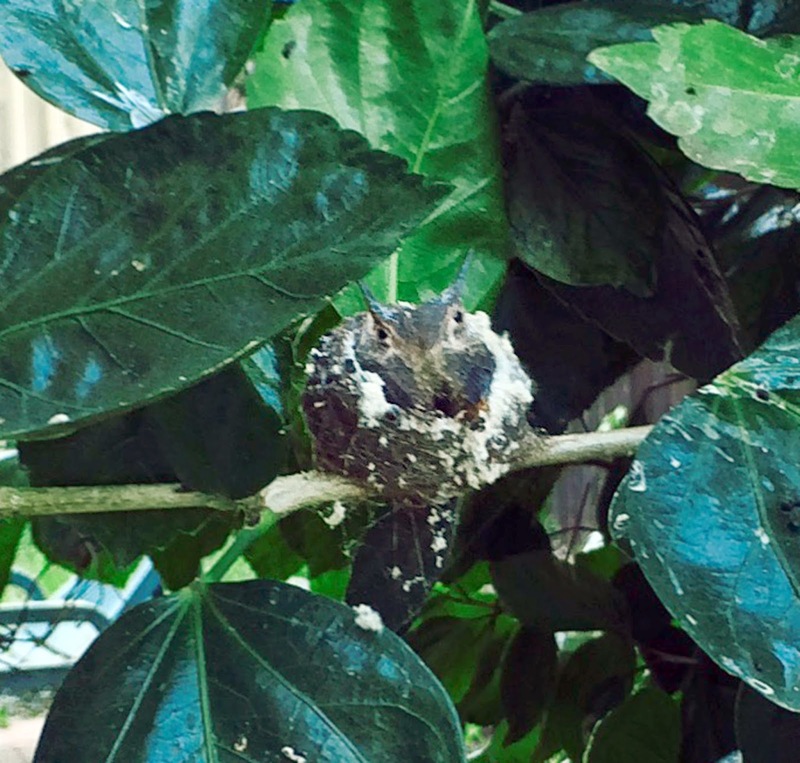 Judging by the amount of poop on the nest, they must be healthy, well-fed little guys. They were crowded in the nest when we took the first set of pics; now there's no way they should both fit in there. I wonder how much longer until they take flight?